Around 1.45 million tonnes of PET was collected in Europe in 2010 – an increase of 6.5 per cent from 2009. 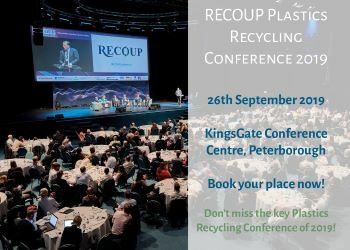 The overall collection rate in 2010 was 48.3 per cent, according to statistics from PET Containers Recycling Europe (Petcore) and EUPR PET Working Group. Of this, nearly 250,000 tonnes was used to create produce containers from rPET. Around 100,000 tonnes of rPET was used for the strapping market, particularly in construction and manufacturing. Exports to the Far East from Europe fell for a second year to 13 per cent of collected PET. Imports of baled bottles into Europe also fell. It is estimated that there is 1.7 million tonnes of PET recycling capacity in Europe, but only 79 per cent of this capacity is used at present. Petcore board chairman Robert Bertaggia said: “With every European country collecting PET bottles, the high year on year increases of earlier years had to fall, but the 6.5 per cent increase in 2010 is still an excellent result.